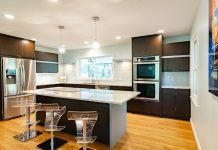 Roohome.com – Are you looking for beautiful kitchen designs which have modern and simple ideas in it? 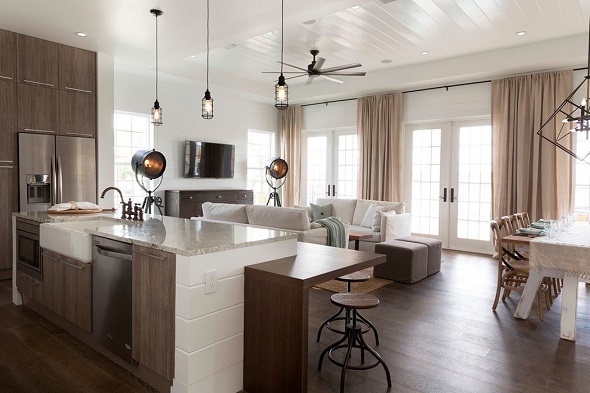 Well, these 4 kitchen designs below will inspire you because each designer creates all of the brilliant designs to be applied to your home living. 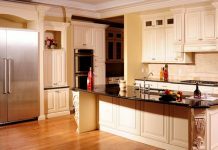 You do not have to be worried anymore in finding a suitable design for smaller or wider kitchen. The 4 beautiful kitchen designs below have been created by professional designers as well. 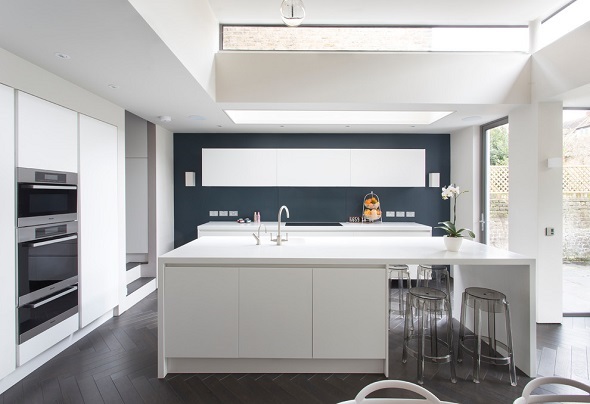 Take a look how the designers arrange the interior in providing a modern look of the kitchen. Having a wider space for a kitchen is confusing some people indeed. 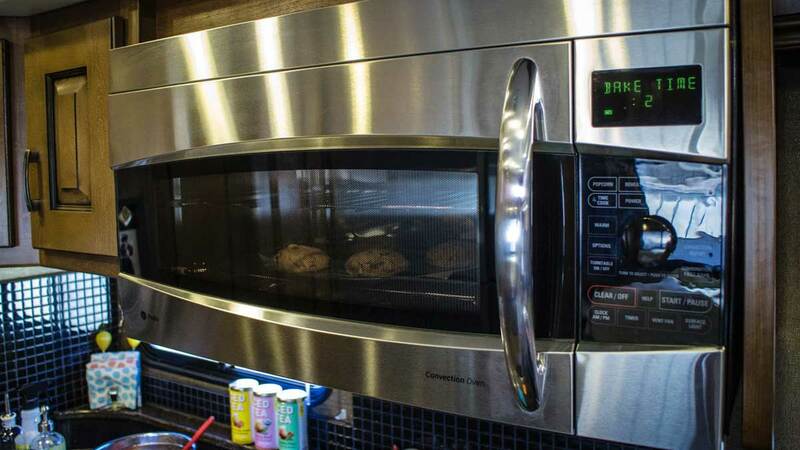 Yet, Plunkett Homes has a brilliant idea to make your kitchen more catching and stylish. First of all, the designer applies white color for all over the kitchen. 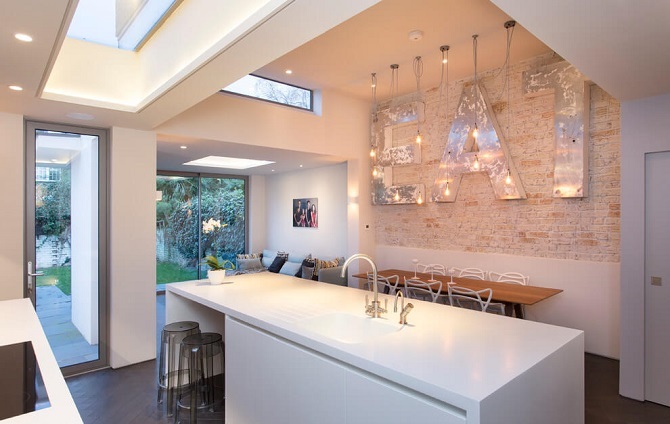 After that, the designer uses modern and bright interior as the kitchen design ideas. 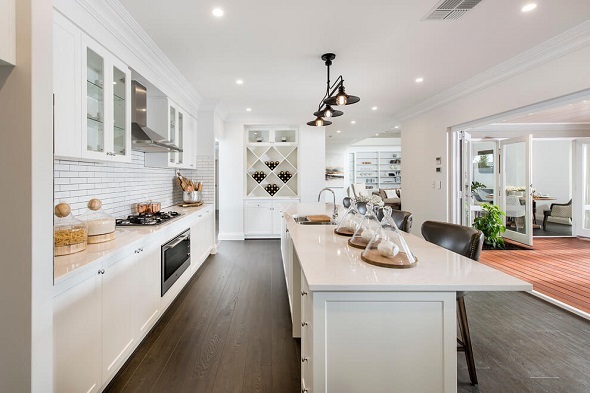 Almost all over the kitchen set are filled with white interiors, such as the cabinets, dining table, and other interiors. This is a rectangular shape floor which has a wide space for cooking. Opposite the kitchen, you can see the sunlight goes in through the middle room toward the kitchen. The second design is designed by a brilliant designer, FrenchStef Interior Design. 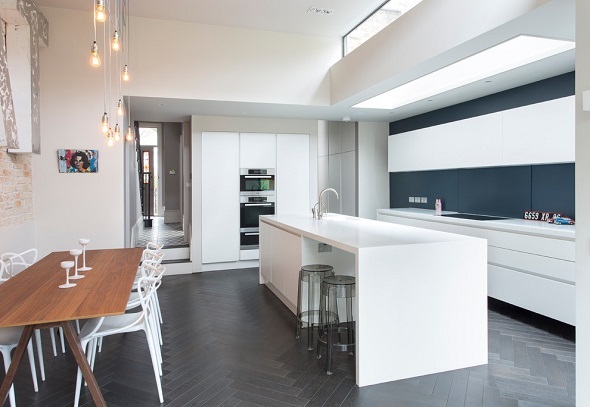 For this design, the kitchen itself is combined with white and navy blue. The kitchen set is chosen with white color for the whole interior. The kitchen looks clear and bright certainly. 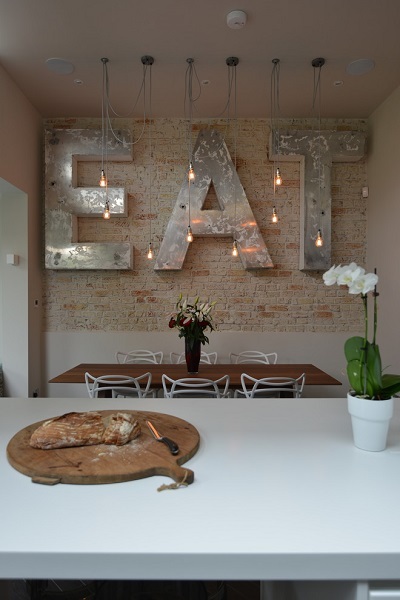 Opposite the kitchen, there is a wood rectangular dining table with creative and smart decoration on the wall. 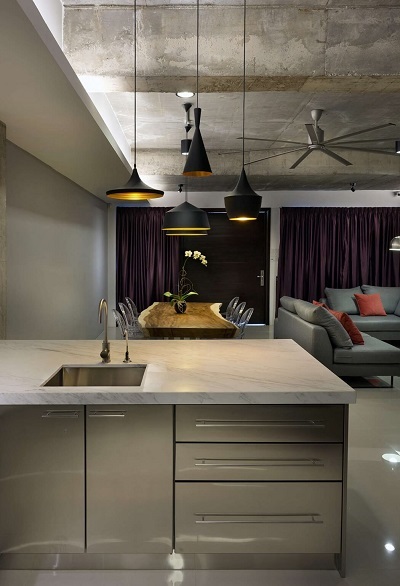 The designer uses some unique pendant lights in order to beautify stone wall textures. Because of the decoration, the kitchen and dining room look perfectly modern. This is the third design which is one of kitchen designs for small spaces. 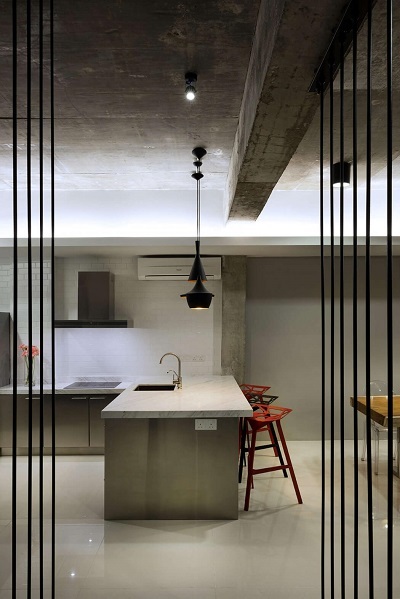 If you have a small space in the kitchen, you need to take a look this amazing design by DRTAN LM Architect below. For the kitchen set itself, the designer uses stainless steel and marble textures. The kitchen looks quite artistic because a shade of dark accent. 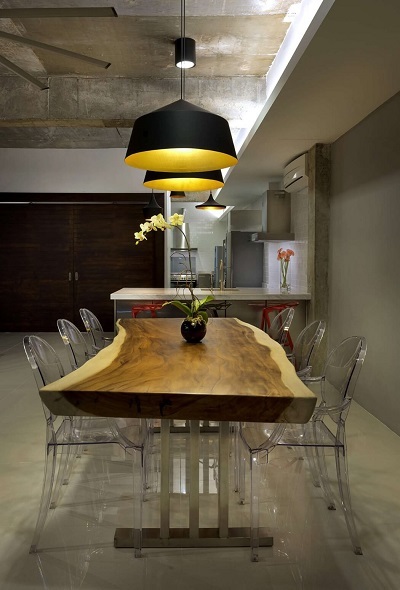 Besides that, the designer uses some creative pendant lights in the kitchen and dining table. 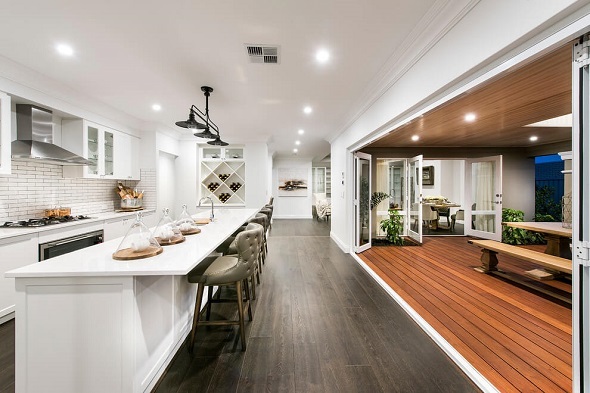 Interestingly, there is a wood rectangular dining table with transparent dining chairs. 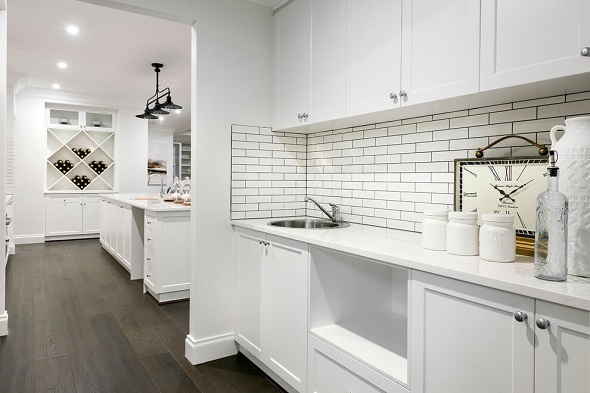 The designer has been successfully applying beautiful kitchen designs in this small kitchen. The last design is designed by Centro Stile which has brilliant ideas to create your dreaming kitchen. 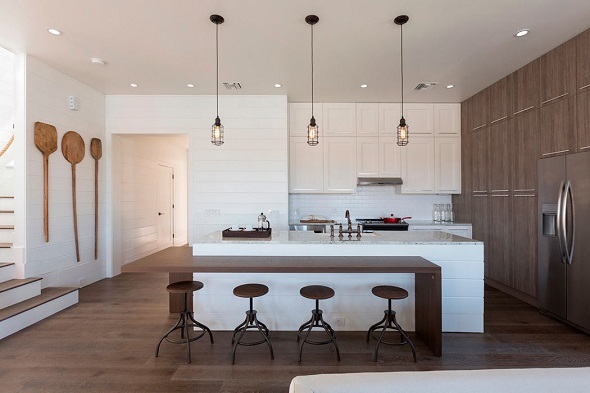 One of the designs is using wooden accents to make the kitchen look more stylish and beautiful. 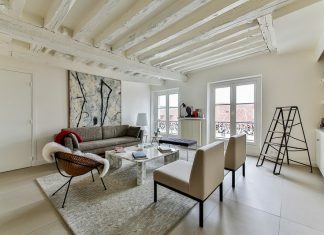 The white color is chosen by the designer and be combined with wooden accents. For the kitchen set itself, wooden accents are totally being the main point along with marble textures. This is an open space floor in where facilitating you to place dining table as well. Which kitchen designs do you like? 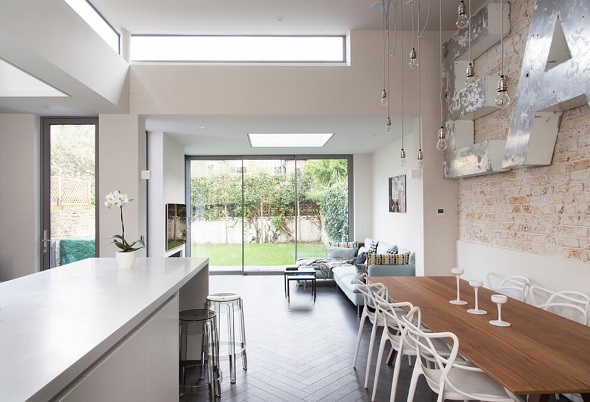 Beautiful kitchen designs by 4 brilliant interior designers above have inspired you. Now, it is time for you to create your dreaming kitchen by applying these beautiful and modern kitchen designs 2016. If you want to see other designs, just visit and check here. Have a nice day!